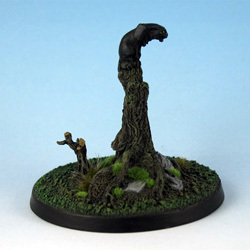 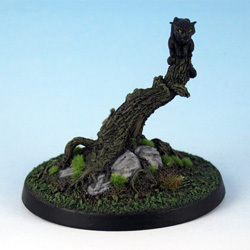 Grimm’s Cat is the first mini in a series of fae trees based on the artworks of Arthur Rackham for Grimm’s Fairy Tales from Mannikin Studios. The resin mini was rather expensive with $12.50 (gone up to $16.50 in 2015), but after a closer look at the quality of the cast it was worth the price. The mini did come with some flash, but no noticeable mold lines. 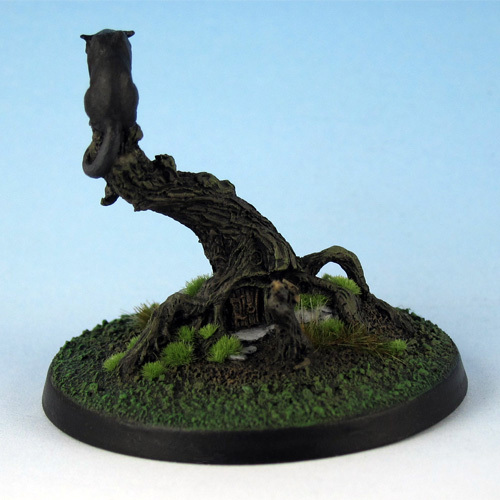 I decided to use the fae tree series as part of my modular forest terrain, so the mini was based on a 40mm base and spiced up with some MiniNatur elements. 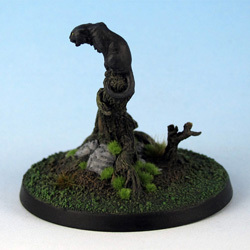 Grimm’s Cat was sculped by Jody Siegel.